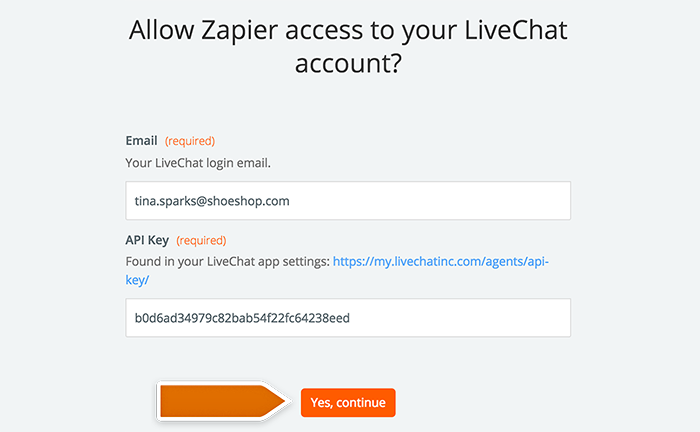 In this tutorial you’ll find instructions on how to create a Zap adding a LiveChat contact to items in your Podio after the chat starts. Select New Chat as the Trigger. Choose Podio as Action App. 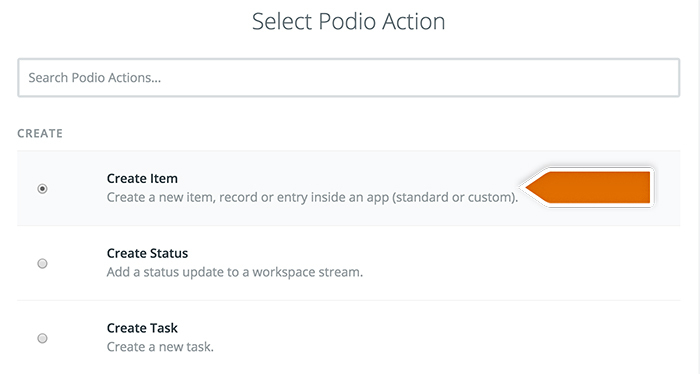 Then choose Create item as the action and confirm by clicking on Continue. Grant Zapier the access to your Podio in the pop-up window and confirm. Select your Podio account and confirm the choice by clicking on Save + Continue. Next, set up which data will be passed to Podio. Turn the Zap on by clicking on the grey switch and start passing information from LiveChat to Podio. Well done! 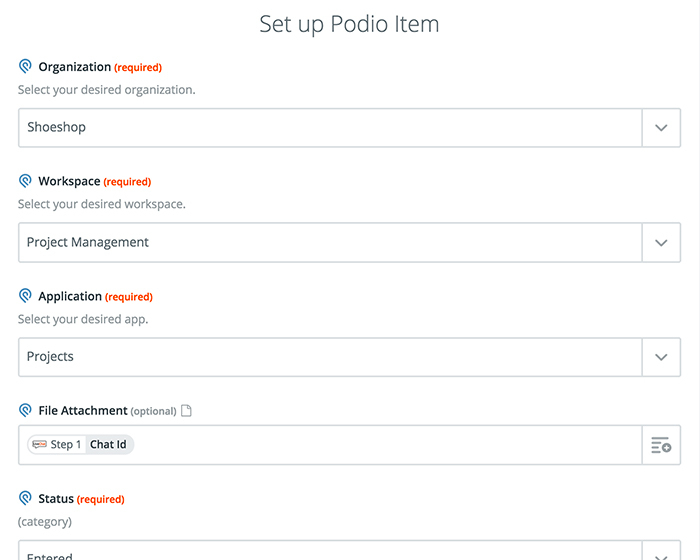 You have just linked your LiveChat with Podio through Zapier. 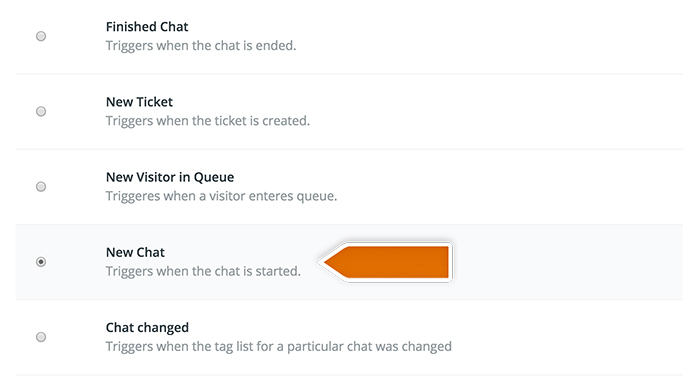 At the beginning of each chat, it will save the info about your visitor and add it to your projects in Podio.